Jay Stevens served as Foundry Music's manager of operations for over 25 years. He is the son of the late Marcia Stevens who founded the business in 1975. Before joining Foundry, Jay worked in turns as a writer, teacher, farmer, and rock musician. He graduated from Yale, where he majored in music history and sang with the Yale Whiffenpoofs. He enjoys playing the piano and guitar, and singing in harmony. Nicole Bernard graduated from Yale with a B.A. in Music in 2007. She worked at the Yale Music Library in the Historical Sound Recordings Department/ American Musical Theater Collection for a few years after graduation. Since then, she's been singing and acting in a wide variety of genres, from Tanglewood in Massachusetts to children's theater, musical theater, and site-specific theater in Connecticut, to indie film in New York. Nicole's musical interests include opera, musical theater, alternative rock and punk. Marcia Killian purchased The Foundry Music Company in November 2014. While her background is in Information Technology, she is interested in music of all kinds, especially rock, classical music and blues. She thoroughly enjoys being surrounded by creative people and is committed to maintaining the long-standing tradition of excellent customer service that has been the hallmark of Foundry Music for over forty years. 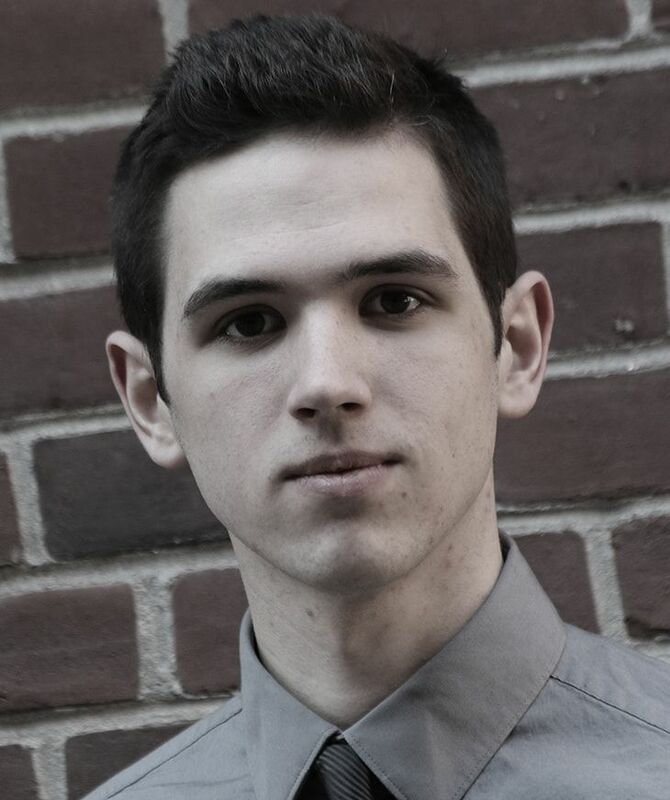 Zach Beever is a recent graduate of The Boston Conservatory’s composition program. As a student, he split his time between the concert hall and his home studio, where he wrote music for indie games. He has a passion for electronic music, and practices piano as often as he builds new modules for his synthesizer. Zach spends his free time studying mathematics, finding new music to listen to, and socializing with friends. He plans to return to school to pursue his other passion of computer engineering. Drake Duffer is a classical guitarist pursuing a Master's degree from the Yale School of Music. Originally from North Carolina, Drake attended the UNC School of the Arts for high school and college. He loves performing and writing music, and records and tours consistently, playing classical guitar music in addition to the folk, blues, and bluegrass music he grew up with. He's a founding member of the duo/band Early Gray.